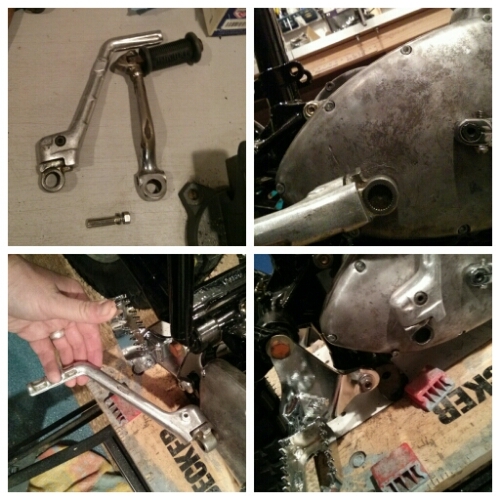 The standard kicker interferes with the new rearset trials pegs. So I have obtained a KTM kicker with swing-out. It still needs the peg to be hinged up to operate but I already do this with the Bonnie so it’s no bother. However the Triumph uses a cotter pin, the KTM a spline fit. I’ll need to fanagle some attachment to transmit the downward hoof to turn the engine over.